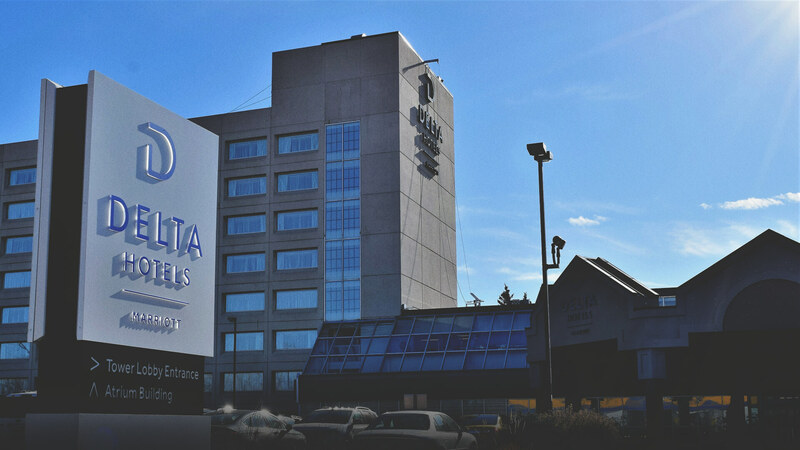 Delta Hotels by Marriott Calgary South is South Calgary's largest hotel, located in the heart of the Macleod Trail business and entertainment district. Whether you're travelling on business or pleasure, be sure to make time to enjoy some of Calgary's best dining and shopping experiences within steps of the hotel at Willow Park Village and Southcentre Mall.Explore the best Calgary has to offer, then make a splash on our Big Gusher Waterslide, re-charge in our fitness dacility, enjoy the culinary creations in the Atrium Cafe.Don't miss your chance to experience the new Mode Deluxe and Mode Deluxe "Special Edition" guestroom our Atrium Builidng... Experience a new standard in luxury accented with wood and stone finishes throughout, along with modern features such as the Smart Desk work station, designer valet closets and large glass enclosed showers. Experience this new standard in luxury by booking a Mode Deluxe or Mode Deluxe Special Edition room for your next stay in Calgary. Just for the Adventurous...Heritage Park Historical Village is a summer destination like no other featuring Antique Midway Rides, an Authentic Steam Train and Paddlewheel Boat Cruises on the Glenmore Reservoir. For automotive enthusiasts, Heritage Park's Gasoline Alley is a "must see" indoor attraction featuring an extensive collection of Gasoline Memorabilia and Antique Automobiles. Also, don't miss your chance to come face to face with Penguins at the Calgary Zoo's brand new attraction, the Penguin Plunge. Still a "must do" in Calgary is Calaway Park, Western Canada's largest amusement park, featuring the Vortex Roller Coaster. 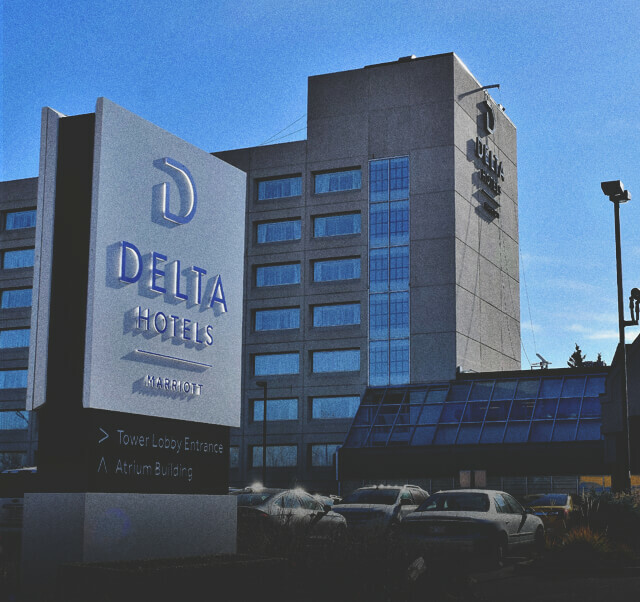 Delta Hotels by Marriott Calgary South is South Calgary's largest hotel, located at the heart of the Macleod Trail business and entertainment district. Explore the best places Calgary has to offer, re-charge in our fitness facility, and enjoy the most delicious culinary creations in the Atrium Cafe. Don't miss your chance to experience the new Mode Deluxe and Mode Deluxe "Special Edition" guestrooms in our Atrium Building and experience a new standard in luxury, accented with wood and stone finishes throughout, along with modern features such as the Smart Desk workstation, designer valet closets and large glass enclosed showers. Explore the best of the MacLeod Trail’s shops and restaurants with a stay at this large south end hotel. In addition to the surrounding hot spots, the hotel boasts three restaurants and lounges. Kids (and kids at heart) will love the 130-foot long Big Gusher waterslide.